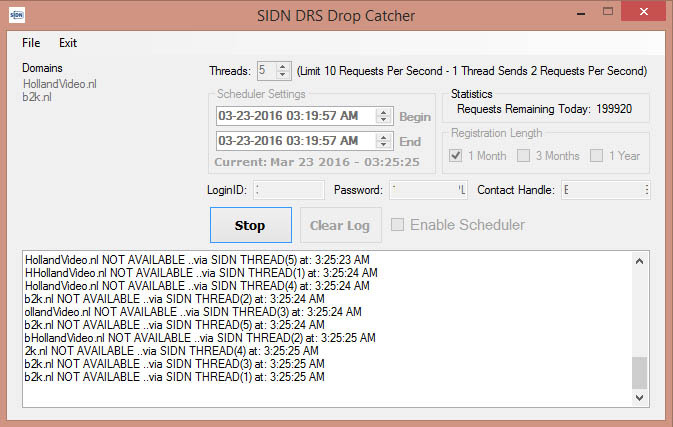 All of our domain drop catching applications are Windows based and come with free lifetime updates. Mac and Linux users can still use this software, but they will need to be running either Wine (Linux), Parallels (Mac) or something similar. Our drop catching software is easy to setup and includes a free guide that will walk you through everything needed to configure settings and quickly begin to beat the competition in snatching the best expired domains that drop each day. Every program that we create is designed to work with one specific domain registry (extension), but we’re always looking for new registries as well. If you’re a registrar and do not see your extension(s) listed below then contact us and we can work with you to get an application created. Best of all, no application protocol interfaces (APIs) are used within any eppSolutions software package. Instead, we only use certain protocols (EPP/DAS/DRS..etc) which communicate directly with the registry for the fastest possible speeds! SIDN owns and operates the Netherlands (.NL) domain extension. Everyday thousands of expired .NL domains are deleted and become available for new registration. The SIDN expired domain drop catching software created by eppSolutions will give .NL registrars the ability to automatically check and register .NL domain names the second they “drop” and become available for new registration! Become a .NL registrar here.